Selling on Amazon is not e-business as usual. Merchants scramble for attention amongst the competition (which ironically includes Amazon itself). Amazon is renowned for its customer centric focus and if you’re a Seller on this platform, their focus is automatically yours too. Assuming trademarks are Brand Registered, the product page is replete with fantastic product images and keyword optimized descriptions; what additional Amazon approved methods can Sellers use to connect with customers, but in a personalized way? We can count them on two fingers: 1) e-mails written from the Seller dashboard; and, 2) package inserts. Simple right? Well, there seems to be many questions and equally as many different answers regarding the content that can be included in either of those two forms of customer communications. Debates have ensued on forums and chat groups. Why are there varying interpretations of Amazon’s TOS Guidelines? Too many Merchants are focusing on only a portion of the rules while missing a couple of paramount key points. They might actually be surprising. To make sure we are all on the same page, here is the TOS Customer Communication Guidelines that apply to email correspondence as well as any information included with packaged products. “In general, you may contact a buyer who has purchased from you on Amazon.com only to complete an order or to respond to a customer service inquiry. You may not contact buyers in any way for marketing or promotional purposes, via email, physical mail, telephone, or otherwise. Many Sellers reading the above automatically conclude that logos cannot be included in Seller-generated emails nor package inserts. Most likely that originated from your experience as a buyer. Can you remember what placing orders a few years ago was like? (These continue to be the only options today). And if the fine print was read, they strictly adhered to guidelines in fear of Amazon’s “filtering technology”. That was your first exposure to plain text only emails. After receiving your order, the box may have contained a simple insert, letter, instructions or nothing at all. Often they were tossed without a glimpse anyway. They too played into the keep-it-simple-don’t-rock-the-proverbial Amazon boat mindset. So when you became a Seller, you probably mimicked the same format. With more competition vying for rankings, buy box wins, creating brand awareness, ratings and reviews; the need to automate became a colossal opportunity. New services for Amazon Sellers appeared nearly overnight. Buyers could receive Seller emails with customized content generated by encoded variables to fill in the customer’s name, product purchased, links to Seller Feedback ratings and/or Product Reviews –company logos included. Seller forums and chat groups blew up with questions, customer communication guideline interpretations and disagreements which resulted in further confusion. Meanwhile, well formatted emails with company logos and inserts with printed company info, continue to go out by the millions on a daily basis. In a genuine effort to fully understand what Amazon deems as approved content, I started a dialog with Seller Support. Although I was only asking about inserts, I learned along the way, that there is some crossover into email communications. Do you have a link to a list of do’s and don’ts with regards to the actual content of inserts sellers put into their product packaging? For example, I know that it’s okay to say thank you and remind buyers to write a review. But is it acceptable if the seller’s website address is printed on the insert? What about if a company adds their phone number in case the seller has an issue? In other words, Is company info okay as long as they are not promoting the buyer to shop on their company website? The following guidelines apply to both sellers of products and services. Attempts to divert transactions or buyers: Any attempt to circumvent the established Amazon sales process or to divert Amazon users to another website or sales process is prohibited. Specifically, any advertisements, marketing messages (special offers) or “calls to action” that lead, prompt, or encourage Amazon users to leave the Amazon website are prohibited. This may include the use of email or the inclusion of hyperlinks, URLs or web addresses within any seller-generated confirmation email messages or any product/listing description fields. Inappropriate email and phone communications: Unsolicited email and phone communications with Amazon users, email and phone communications other than as necessary for order fulfillment and related customer service, and emails and phone calls related to marketing communications of any kind (including within otherwise permitted communications) are prohibited. Direct email addresses: Buyers and sellers may communicate with one another via the Buyer-Seller Messaging Service, which assigns unique Amazon-generated email addresses to both parties. From my previous experience, including a web or email address within emails are not approved by Amazon. They can be on printed material such as inserts since there is no such thing as active links (not as of 2016 at least). Attempts to divert transactions or buyers. This is the key to understanding everything else following that. What does “not affecting your business” mean? Please know that “you can provide your company details and information or telephone numbers to your buyer as long as their not affecting your business” only means that don’t provide any such information that can result in any potential threat to your business. Please understand that we only suggest that as we want our sellers to be on a safer side and there shouldn’t be any step taken which may result in any harm to their business in one way or the other. they are also watching out for the Sellers against aggressive buyers. Welcome this shift in perspective. I think I understand TOS Guidelines, but I want to be clear on this subject. It is okay if a seller includes their website address, company telephone number, and logo on inserts. However, it is NOT okay to add any links, email addresses or phone number in emails that would take a customer away from placing their order on Amazon and instead redirect them to order on another website. 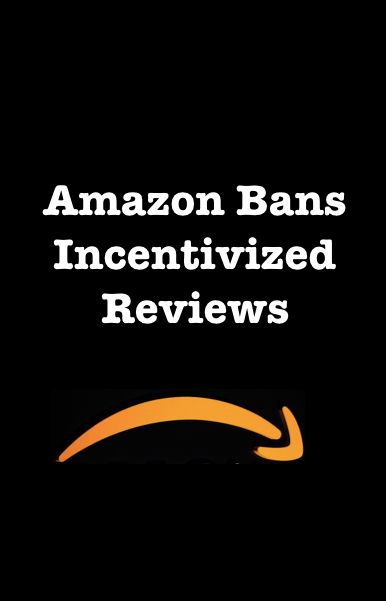 Please note that any attempts to circumvent the established Amazon sales process or to divert Amazon users to another website or sales process is prohibited. Specifically, any advertisements, marketing messages (special offers) or “calls to action” that lead, prompt, or encourage Amazon users to leave the Amazon website are prohibited. This may include the use of email or the inclusion of hyperlinks, URLs or web addresses within any seller-generated confirmation email messages or any product/listing description fields. customers from completing their sale on Amazon. It is important to remember that they want all email communications to go through your Seller account. And really, you want this too. What if a buyer is complaining verbally? Having a trail of emails to support responses for an A to Z Claim or removing bad Seller Feedback Ratings or incorrect Product reviews; is beyond valuable. Amazon encourages Sellers to write emails or send inserts asking for Seller Feedback and Product Reviews, as long as it does not include incentives or discounts for doing so. Also, emails via Amazon do accommodate attachments that are useful to customers. Attachments are indicated by a paper clip icon on the bottom left hand side of the Buyer-Seller Message. Keep in mind that the total allowed attachment size is 10MB. Often customers have no idea that third party Sellers exist on Amazon. From their viewpoint, it’s only Amazon selling and shipping. The boxes with Amazon’s name on the tape and their logo printed on the sides only confirm that notion even further. Connecting with buyers in a more personalized way via emails and/or inserts under TOS compliant guidelines doesn’t mean remaining invisible. Earning a reputation for excellent customer service and gaining trust in your brand with high quality products is not a passive endeavor. And Amazon isn’t asking you to be an unknown Merchant. Just follow the guidelines and keep Amazon shoppers focused on your Amazon business.